Registration and speaker agenda now available for the 2019 NSCMA portion of the Annual Minnesota Newspaper Convention! See Our Conference Page For More Details! NSCMA was founded over 60 years ago in order to bring together dedicated newspaper professionals across the upper Midwest to ensure the future success of the newspaper industry. By providing opportunities for both new and seasoned newspaper professionals to improve their knowledge and skills through networking, conferences, and idea sharing, we hope to meet and exceed the goals that lead to our conception many years ago. Receive our NSCMA Summer and Winter Bulletins sharing successful business ideas used at other member newspapers. 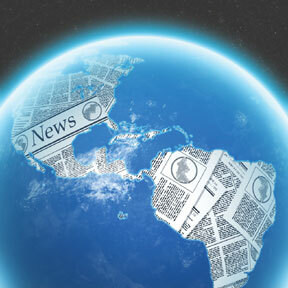 Are a part of a network of individuals both new and seasoned dedicated to ensure the future success of newspapers. Get valuable opportunities to learn about products that can help you develop successful growth initiatives. Can learn how to leverage technology and websites to grow our business. Have opportunities to improve your professional skills and knowledge. Will be kept abreast of legislation and legal concerns involving issues such as telesoliciting and carrier contracting. We hope you use this web site to keep abreast of industry news, plan your training schedule, and grow circulation. If you have any questions about, comments for, or wish to join NSCMA, click here or e-mail us at nscma@nscma.org. Northern State Circulation Managers' Association is dedicated to bring newspaper professionals together to help ensure the future success of the newspaper industry and the individuals dedicated to it.